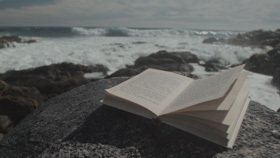 Our wines are inspired by the coast; the sea breezes, colourful landscapes and the feel of sand underfoot. Fresh and easy-going, Isla Negra wines capture the spirit and the charms of the coast in every bottle. 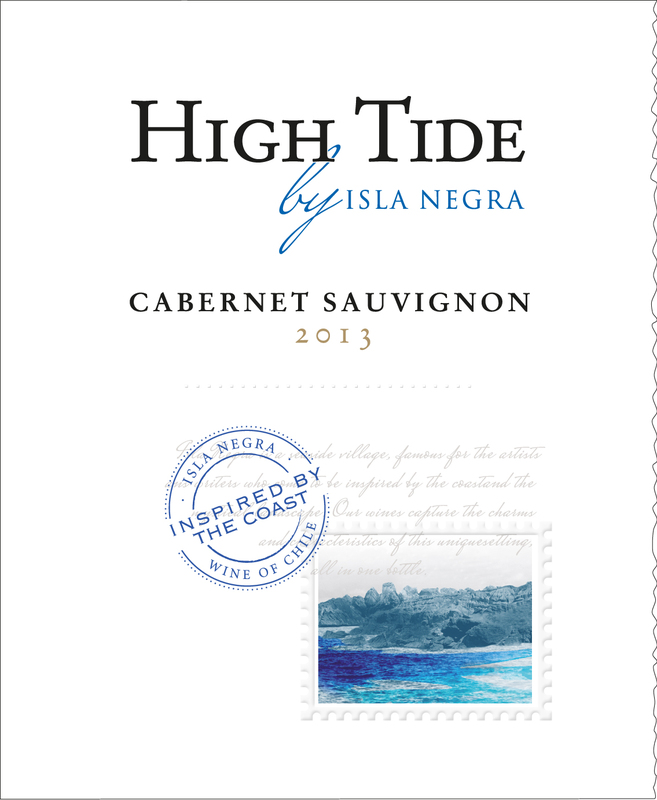 High Tide is Isla Negra’s top of the line range, conveying the quality of a premium wine. 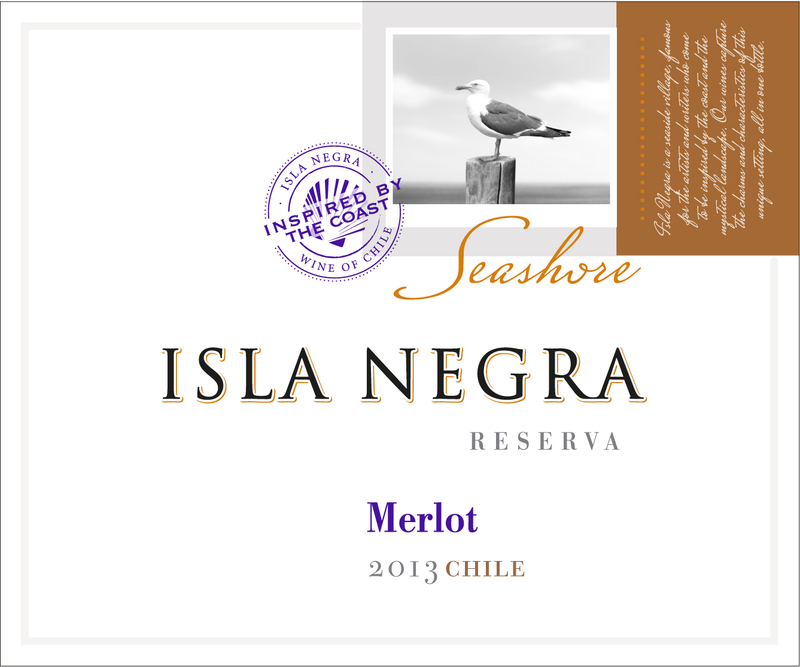 Seashore wines are an everyday favorite, representing Chile’s finest expression. West Bay wines are made from unique combinations of varieties creating an easy wine to drink. An attractive wine that expresses an elegant and aromatic nose, where slightly sweet notes of citrus mingle with grapefruit and peach. In mouth, this Sauvignon Blanc / Chardonnay is refreshing, elegant, soft and balanced. Ideal to serve as an aperitif, or alongside white meats, fish and soft-flavoured seafood. A brilliant ruby red wine, with strong violet hints. Aromas of plum mingle with blueberries and red fruits. It is soft yet rounded on the palate, with a perfect intensity and persistence. 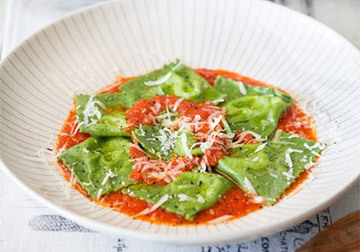 A great accompaniment to pastas and fresh cheeses. With an intense deep ruby red colour, this Cabernet Sauvignon / Merlot has a beautiful nose, expressing notes of plums that mingle with chocolate. The palate is elegant and full of flavor with soft tannins and a superbly long aftertaste. Pair with red meats, pastas and mature cheeses. An intense ruby red Cabernet Sauvignon whose aromas include red fruits and plums, along with notes of chocolate. In mouth, this medium body wine has beautiful tannins that integrate with a long and pleasant aftertaste. A vivid and vigorous dark ruby red Merlot with rich aromas of cherries and black berries that mingle with pleasant notes of cacao. Elegant and velvety, its palate is round and full bodied, with a deliciously long lasting aftertaste. An ideal wine to serve with pasta and cheeses. A dark ruby red colouring with slight violet hints add character to this Carmenere. Strong aromas of plum and blueberries combine perfectly with spicy hints. The palate is elegant, soft yet rounded, and very fulfilling. An excellent choice to serve with pastas and fresh cheeses. A bright, clean Moscatel with fruity aromas and floral hints. It has a lively, fresh taste with just the right amount of sweetness. Soft and balanced. Perfect for serving with tropical fruits and fruit-based desserts. An appealing Chardonnay with alluring fruit aromas of citrus, pear and pineapple beautifully integrated with hints of vanilla. The refreshing taste is young, soft and balanced. A great companion for white meats, pasta and seafood. A bright, radiant wine. Aromas of citrus fruits and peaches combine with herbaceous notes to give this Sauvignon Blanc an amazing minerality. It is an appealing wine, fresh, balanced and dry, light but sophisticated. Enjoy alongside vegetarian dishes and light seafood dishes such as ceviche. A sophisticated, dark ruby red Cabernet Sauvignon. Aromas of plum, raspberry and sweet spices are enhanced by soft smoky traces, due to its aging period in barrels. The taste is full of flavours including red fruits like plum and raspberries, light vanilla, and hints of spices and chocolate. A perfect wine with red meats, especially lamb, as well as pastas and aged cheeses. A vibrant and perfectly balanced Chardonnay with aromas of citrus fruits, white peach and mineral hints. The complex taste is well balanced, yet young and fresh, finishing with a pleasant mineral acidity. It is a superb complement to seafood, white meats, nuts, creamy and buttery sauces and cheeses, as well as spices such as pepper and garlic. Isla Negra is an enchanting seaside village in Chile, famous for the artists and writers who come to be inspired by the ocean and its mystical landscape. 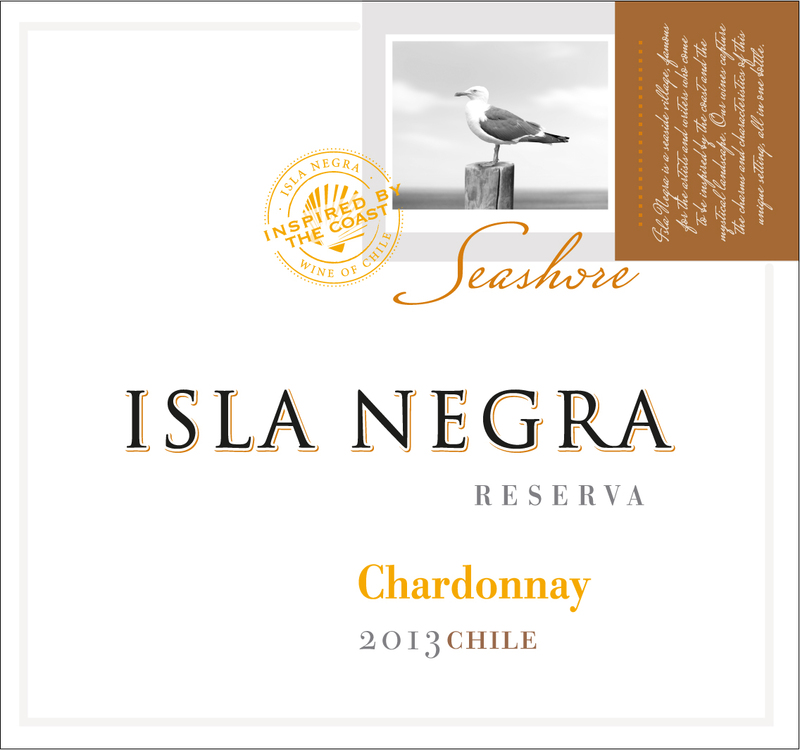 We aim to make Isla Negra synonymous with value, providing a wide variety of wines perfect for any occasion. 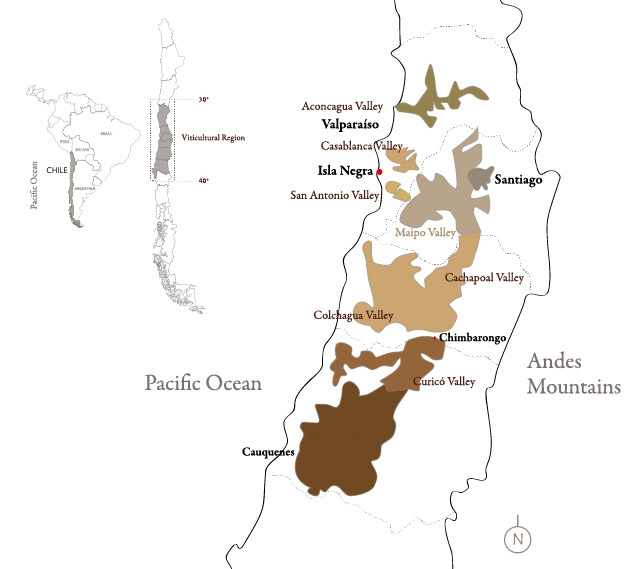 Chile is recognized around the world as a winemaking paradise. Surrounded by the Andes Mountains, the Pacific Ocean, the Atacama Desert and the chilling Antarctica, our treasured winegrowing regions are protected by great forces, allowing us to create exceptional wines. 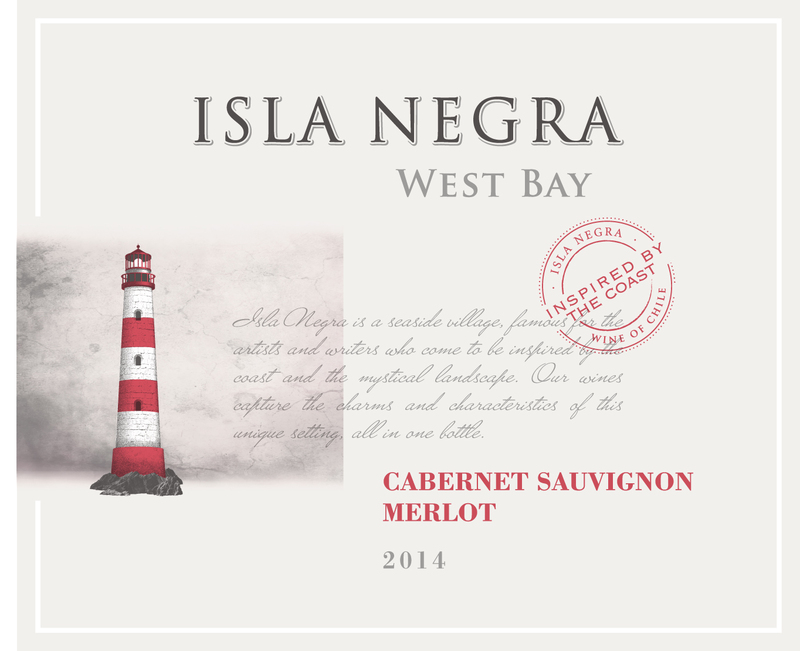 Isla Negra wines are made with grapes from throughout the Central Valley, which is made up of several small valleys ranging from Casablanca to Maule. Known as the most privileged and developed regions in the country, the Central Valley has a temperate Mediterranean climate with a dry and luminous ripening season, diverse soils and precise humidity and temperature patterns. Environmentally friendly practices have always been a key part of Isla Negra’s philosophy. Through projects such as obtaining CarbonNeutral delivery status and using more ecofriendly, lightweight glass, we try to ensure that Isla Negra takes the necessary steps in combating climate change. CarbonNeutral: all CO2 emissions from the shipping of Isla Negra wines around the world are measured and then compensated through the purchase of Carbon Bonds on international projects focused on reducing Greenhouse Gas Emissions. All measurement and compensation is done through UK-based corporation, The CarbonNeutral Company. 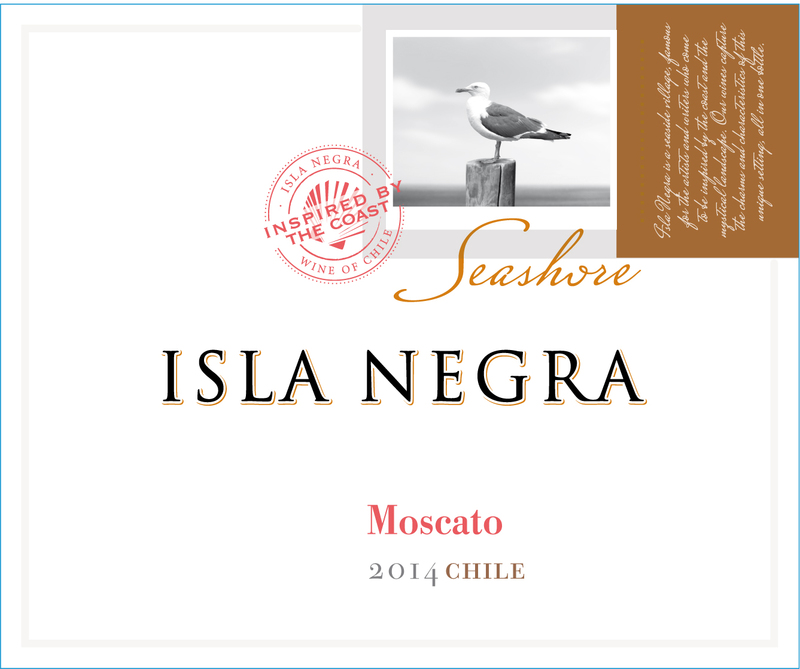 Ecofriendly lightweight bottles: As the manufacturing of glass requires a lot of energy, Isla Negra has opted for lightweight bottles for their Seashore and West Bay wines, in order to reduce greenhouse gas emissions produced by these products´ manufacturing and shipping. Drinking Isla Negra is drinking green! Isla Negra wines are perfect for any occasion. Looking for something special for that certain somebody? These delicious pairings will be a hit! Because there is nothing better than being surrounded by nature with good food and good wine. Clean and wash the strawberries. Insert a toothpick into each one. Put chocolate and butter in a heatproof bowl. Heat in a bath of hot water, stirring occasionally until chocolate and butter melt. Leave to cool slightly but not harden. Hold strawberries from toothpicks and dip each into the molten chocolate mixture. Turn strawberries upside down from the toothpick until chocolate holds shape. Arrange on foam plates and leave until chocolate hardens. Season shrimp with salt and pepper, to taste; set aside. Melt 2 tablespoons butter in a large skillet over medium high heat. Add garlic, oregano and red pepper flakes, and cook, stirring frequently, until fragrant, about 1-2 minutes. Add shrimp and cook, stirring occasionally, until pink, about 2-3 minutes; set aside. Melt remaining 6 tablespoons butter in the skillet. Stir in pasta, arugula and Parmesan until arugula begins to wilt, about 2 minutes. Stir in shrimp. Serve immediately, garnished with parsley, if desired. Preheat oven to 375ºF. Spray muffin tin with cooking spray. Cut wonton wrappers into circle shapes (about 2 1/4- inches) using a biscuit cutter or the top of a drinking glass. Reserve 3/4 cup Parmesan cheese and 3/4 cup mozzarella cheese for the top of your cupcakes. Start layering your lasagna cupcakes. Begin with a wonton wrapper and press it into the bottom of each muffin tin. Sprinkle a little Parmesan cheese, ricotta cheese, and mozzarella cheese in each. Top with a little meat and pasta sauce. Repeat layers again (i.e. 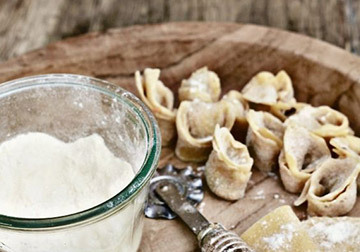 wonton, Parmesan, ricotta, mozzarella and pasta sauce). Top with reserved Parmesan and mozzarella cheeses. Bake for 18-20 minutes or until edges are brown. Remove from oven and let cool for 5 minutes. Garnish with basil and serve. Tie the beef tenderloin with kitchen twine to help maintain its shape, then freeze the tenderloin (this ensures that the center stays rare when cooking a small piece of meat). Heat 1 tablespoon of oil in a heavy small skillet over high heat. Rub the frozen beef with salt and pepper. Add the beef to the hot skillet and sear on all sides, about 4 minutes total (the beef will be just barely seared on the outside but will remain rare). Freeze the beef until almost frozen, about 1 hour (this makes it easier to cut into very thin slices). Using a large sharp carving knife, slice the beef as thinly as possible. Arrange the arugula and Parmesan shavings on a serving platter and lay the beef slices on top. Drizzle with the remaining olive oil and lemon juice. Sprinkle with salt and pepper and serve. Peel and chop the cucumber in very fine and small cubes and mix with the cream cheese, mashed garlic, lemon juice and mint. Season with salt and pepper. Place cubes of salmon of approximately 2cm (0.8 inches) on a plate and then top each with some of the cucumber cream cheese mix. Break chocolate squares into smaller pieces and drop them into the fondue pot. Add cream (which will prevent the chocolate from going lumpy) and stir gently but constantly until the chocolate is melted and smooth. Add vanilla extract, and stir it in. Use a fondue fork to spear the fruit. Then dip it in the chocolate. •	some chopped nuts: pecans, almonds, walnuts, and hazelnuts all work well. Preheat oven to 400°F with rack in upper third. Toss pecans with butter, sugar, and 1/2 teaspoon salt, then toast in a 4-sided sheet pan until fragrant and a shade darker, 8 to 10 minutes. Transfer to a plate and cool completely. Pulse pecans in a food processor just until finely chopped, then transfer to a wide shallow bowl. Stir together goat cheese, rosemary, coriander, and 1/2 teaspoon pepper until combined well. Form teaspoons of cheese mixture into marbles between your palms, then roll in pecans to coat and roll between your palms again briefly. Transfer to a plate. Put a parsley leaf under each cheese marble and spear together with a wooden pick. Preheat the oven to 200C/400F. Remove any plastic packaging from the cheese and place back in its box, leaving the lid off. Pierce the top of the cheese in several places with a sharp knife and insert pieces of garlic and sprigs of thyme into the slits. Drizzle the cheese with olive oil and place on a baking sheet, leaving the cheese in its box. Bake in the oven for ten minutes, or until the centre of the cheese is melted. For the garlic bread, drizzle the cut side of the bread with olive oil and place cut-side down in a hot griddle pan until toasted. Rub the toasted side of the bread with the garlic clove. Serve the garlic bread with the warm cheese for dipping. (Русский) Все любят сыр! Чтобы порадовать ваших гостей, соберите различные типы сыров на большой тяжелой тарелке. Отличная идея – украсить ассорти виноградом и орехами. Everybody likes cheese! To delight your guests, dare to combine different types on a large and heavy plate. A great idea is to display them with grapes and walnuts. For dessert, combine different types of cheeses with fruits you like. For example, serve strawberries, grapes, apples, pears and pineapple, with a combination of fresh farm cheese, brie and manchego. A touch of honey, or fig or plum jam are an excellent choice for something different. In a thick saucepan, heat 2 spoonfuls of butter and brown the chopped onion. Remove from the pan. In the same saucepan heat the rest of the butter and sauté the livers for about 4 minutes. Then, put in the blender half of the onion, livers, egg and cognac. Blend until it’s smooth. Empty into a bowl and repeat with the rest of the ingredients. Then, mix everything in and season with salt and pepper. 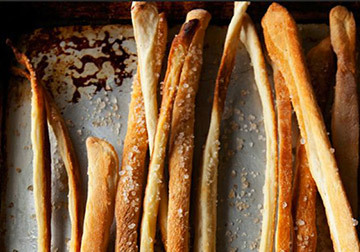 Refrigerate for 24 hours and serve with crackers or fresh baguette. Chop the salmon into small cubes (1 cm) and add the lemon juice (the amount of juice depends on how you like it). Then, slice all the vegetables and cut the onions in very fine sticks. Mix everything with the salmon, season and stir a lot. Slice open the croissants. On one slice put some mayonnaise and on the other some French Dijon mustard. Then, place the ingredients in the following order: lettuce, cheese, ham, tomato, and lettuce again. Slice the shrimps and mix with the mayonnaise. Spread the content into the bread. Add the pickles, some lettuce and the egg sliced in four pieces. 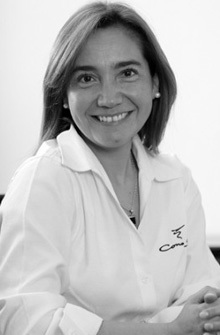 Cecilia Padilla graduated as an agronomist in 1998 from the Pontificia Universidad Católica, one of the most renowned and prestigious universities in Chile. Soon after, she joined the Isla Negra team in 2000. Cecilia is a passionate winemaker, always looking to create fresh wines that best express their New World origins. 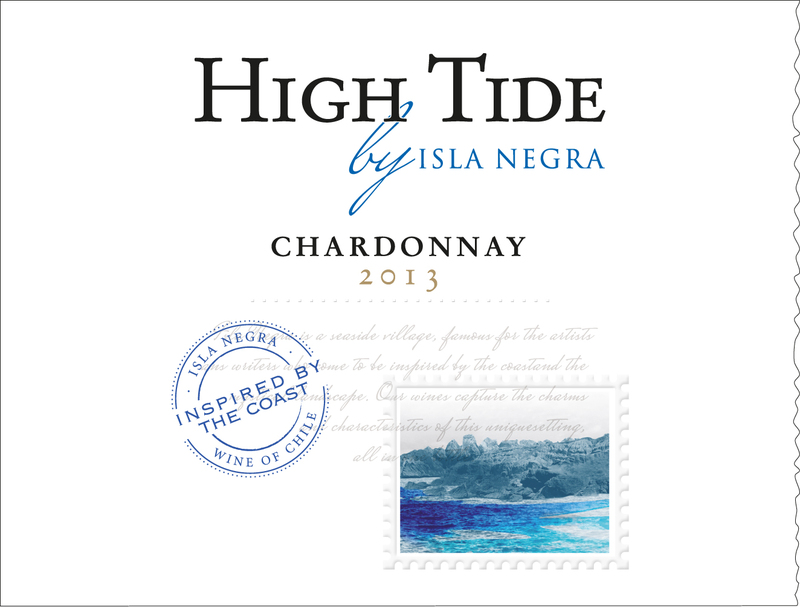 Having always loved the little coastal town of Isla Negra, she often laughs at the luck of being able to produce wines that bear its name. Just as many artists in the past century, Cecilia has found inspiration in this mythical land, which can be perceived in every bottle, each glass. To enter the site you must be of legal drinking age. Para ingresar al sitio debes tener edad legal para beber alcohol. Для входа на сайт необходимо быть совершеннолетним питьевой.